On 26th October started the 58th edition of the prestigious DOK.Leipzig. 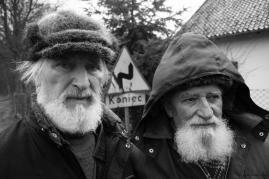 One of the Polish representatives at this year's Festival in Leipzig is the latest film by Wojciech Staroń, "Brothers," which will compete for the laurels in the International Competition Long Documentary and Animated Film. We would like to invite you to read the interview with the film's author. ANOTHER WORLD. INTERVIEW WITH THE DIRECTOR OF "CALL ME MARIANNA"
BETWEEN TWO WORLDS. INTERVIEW WITH THE DIRECTOR OF "DYBBUK"